Last week I was listening to an episode of The Memory Cheats podcast, where the two hosts were discussing The Romans. One host mentioned that it was a shame that the only two things anyone ever remembers about William Hartnell was that he A) was a racist, and B) could never remember his lines — neither of which is necessarily true. Another thing I’ve often heard said about the role of the Doctor, is that every actor to take the part is basing their interpretation off of Patrick Troughton, not off of William Hartnell, and that everything we identify as “Doctor-ish” about the part, is due to Troughton’s work after assuming the role in late 1966. I can’t accept this as true, either. Well, actually, I did accept it as true — and repeated it aloud — but finishing up this recent 1st Doctor marathon has quite changed my mind. William Hartnell is, in many respects, my Doctor (but, then again, so are three of the next four actors after him). I latched onto him in late 1985 when the PBS stations in the New York area started airing his 17 surviving serials, and at about the same time, adaptations of his stories began to dominate the Target novelization ranks, which only served to pique my interest further. I’ve been defending his portrayal in various online forums for over 20 years, usually because I felt that respect was due to him for coming first. My appreciation for him and his era on their own merits, however, only increases with time; experiencing the missing episode audios and reconstructions has only made me more interested in his body of work, which in many respects is so much better than the surviving serials alone. His era is less well-remembered, to the extent that in a recent poll, he was outranked by Paul McGann’s Eighth Doctor, and that was before The Night of the Doctor came out. I think this is so for a variety of reasons: so much of his material is missing; his “best” episodes can only be experienced on audio or via reconstruction, the existence of which only the most intense fans are aware; his era is in black-and-white only, so is considered obsolete; and his stories are “boring” because every serial is “two episodes too long”. I think just about all of these are weak excuses. Hartnell was brilliant as the Doctor. Consider how radically his interpretation shifted, once the show became popular. He was, in the earliest episodes, simply a slightly-out-of-focus vehicle allowing Ian and Barbara to have their own adventures. The fact that the show rapidly became about him, is down entirely to Hartnell’s acting, and to his ability early on to handle any mood swing or differing characterization that the writers threw at him. Think about how many different personas Hartnell’s Doctor adopted. Slightly sinister old man. Refugee haunted by mysterious past. Grumpy (or, to use an old word, “tetchy”). Violent (think about how many skulls he cracked in Seasons 1 & 2). Humorous. Mischievous. Sneaky. Avuncular. Warm. Witty. Spacey. Hartnell could be each of these things, sometimes all in the same story. Even at the end, when he had become a marginal figure on his own show, he could still mutely stare down a War Machine, and look supernatural while doing so. Hartnell was at his best in three types of stories: comedies, historical adventures, and morality plays. He had impeccable comic timing (The Romans, The Gunfighters, The Time Meddler). He could hold his own against accomplished actors playing historical figures (Marco Polo, The Myth Makers). And nobody did righteous anger better (The Crusade, The Savages). He was, however, much less at home when forced to deliver dense technical dialogue (The War Machines, The Web Planet), so it’s clear why he had to leave the series, after Innes Lloyd and Gerry Davis re-imagined the show to eliminate the historicals and comedies, and play up the science). But even in his final stories, he found something new about the part. Even with a vastly reduced word count, he was able to face down the Elders on the planet of The Savages, and essentially take over entire Cabinet ministries and a division of the military in The War Machines. He says shockingly little throughout the entirety of The Tenth Planet, but makes his few lines of dialogue really stick. It’s very sad to think about his final full year on the show — with him basically at war with John Wiles, eased out the door by Innes Lloyd, and shut out of a large number of serials. But his first two seasons are still breathtaking, from the range of stories presented, to the range of drama and comedy that Hartnell proved capable of playing. Even in those bitter final days, he found ways to stand out, either by line readings, or just standing still in his cloak and silver wig. 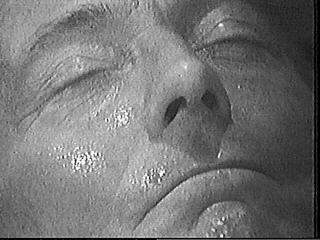 While much has been said about Hartnell’s acting “fluffs”, the first thing to note is that the show was not filmed then the way that it is now — there were vanishingly few retakes, and much less room to hide. Second, Hartnell had a unique way of rescuing his fluffs, which results in found poetry. “I rather fancy that’s settled that little bit of solution.” “I’m not a mountain goat, and I prefer walking to any day. And I hate climbing!” Even the man’s mistakes are endlessly quotable. Patrick Troughton, as we will see in The Power of the Daleks, did significantly redefine the role of the Doctor, bringing back a comedic edge, and adopting a bumbling persona that veiled a very keen mind (as Sydney Newman asked him to play it, the “cosmic hobo”). William Hartnell leaving the show was, looking back on it, a necessity, because we wouldn’t have come 47 years if he hasn’t been replaced in such a perfect way. But let’s not understate just how extraordinary he was, when he was the Doctor. Because he was extraordinary. This entry was posted in 1st Doctor and tagged 1st Doctor, Doctor Who, Target. Bookmark the permalink. Very good appreciation of Hartnell and his Doctor from an informed perspective. Regarding the lines, it should be borne in mind that arteriosclerosis affects the speech more than the memory. If you listen, he has often memorized the lines correctly but they come out wrong. Drugs becomes gloves, fault locator, the fornicator and so on. 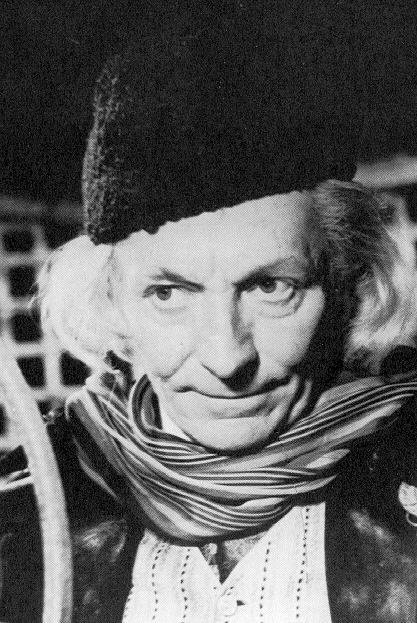 The “received wisdom” on this, which has turned up in countless places lately (including on the “Tenth Planet” DVD) is that the arteriosclerosis did cause his memory loss and eventual senility, and then Donald Tosh said in many interviews that Hartnell couldn’t remember his lines and that episodes would underrun as a result (which turned out to not be true, when the camera scripts were made available and one could verify that Hartnell did in fact hit his lines). I suspect that the received wisdom is probably pretty far removed from what was actually happening in 1966… thanks for the comment and for the additional perspective! I completely agree about William Hartnell being underappreciated, and for the reasons you mention. I know people who would never want to watch a Hartnell or Troughton episode because they’re “too old” and they think the production values are too low (although I would argue that black and white hides a great deal of flaws, but that’s another matter). And, unlike many people, I love the historicals. He really does an amazing job as the Doctor, and I was rather sad when I reached the end of his era. It’s true that some of his early stories felt like they could be an episode shorter, but most of them are still great stories. People who don’t give the Hartnell era a chance are really missing out. I was fortunate that on my initial journey through Doctor Who, I was within range of one of the true U.S.bastions of Doctor Who — KTEH in San Jose. In the course of two years, I got to see just about ever complete Doctor Who serial that the Beeb offered in syndication. I had no idea at the time how fortunate I was — nor how little seen some eras are for certain fans, depending on where you were located. (I think KTEH was one of the first US stations to air the earliest Doctor Who serials). At the time, I didn’t appreciate the first Doctor’s era as much. Yes, there was the excitement of the first story, the first Daleks story, etc. But compared with weekend showings of the 4th Doctor, I felt that Hartnell’s era paled. As I’ve grown older, I’ve come to appreciate 60’s Who a great deal more and really see how good an actor Hartnell was. As you said, he took a role that was an anti-hero and had it evolve over the course of his three-year run. Are all his serials perfect? No. But that’s true of EVERY era of Who. While I say that without Troughton, we don’t have Doctor Who as we know it today, the same applies to Hartnell. Hartnell really put the foundation in place that every actor since has been building on. I was hoping to do a complete Hartnell rewatch leading up to this year’s Xmas special, but, alas, don’t think I’ll have the time to do it.